Learn how to incorporate the stunning beauty of natural stone into your home landscape! 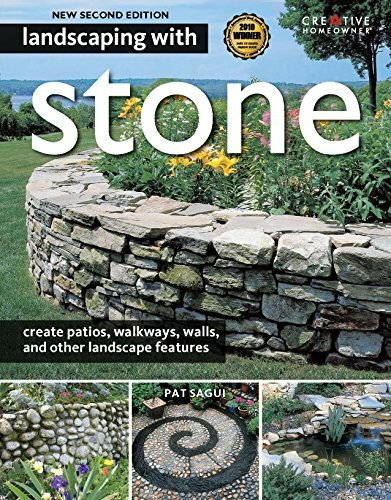 Landscaping with Stone, 2nd Edition is a combination landscape design and project book in one, and this Second Edition has been updated with all new photographs. The first section of the book will provide you with a framework for incorporating stone in your landscape designs, including a look at the different types of stone used in landscapes, sources of inspiration, and ways to think about stone in relation to other landscape elements. The second part will provide you with tips on working with stone, from transporting to cutting and setting. There is also step-by-step instruction on some of the most popular stone projects, including patios, walls, and rock gardens. With over 300 photographs and illustrations, this guide for the DIYer with teach you the basics of designing and working with different types of stone in walkways, patios, retaining walls, rock gardens, steps, and much more!